Plex on Thursday introduced a Live TV feature for Plex Pass subscribers with antennas, letting them watch shows as they air in addition to taking advantage of existing DVR features. Viewers must have a compatible tuner, Plex said, but the list has been expanded beyond HDHomeRun models to include ones from brands like Hauppauge and AVerMedia. 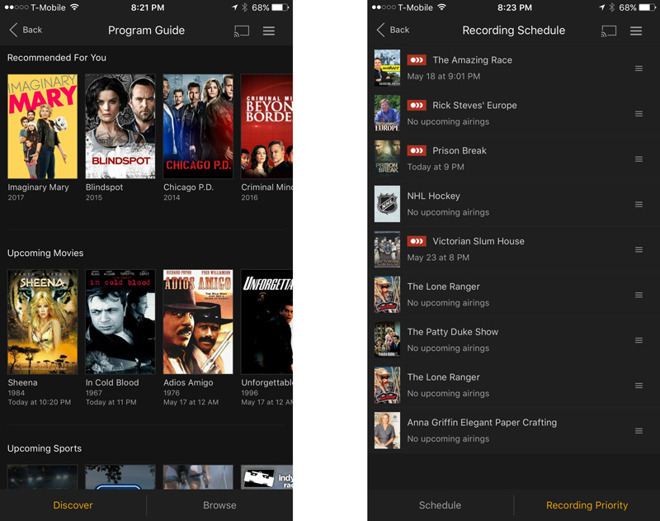 Live streaming is limited to the company's apps for iPhone/iPad and Android TV, which can now browse a program guide and manage recordings as well. More platforms are promised in the future. The developer has meanwhile improved its DVR engine, making it possible to watch and record simultaneously, while also better dealing with overlapping recordings on the same channel. Plex noted while that while most U.S. networks and many international ones are supported, its technology doesn't allow access to encrypted channels. A Plex Pass costs $4.99 per month, $39.99 per year, or $119.99 permanently. The company reserves new and advanced features for Pass subscribers, such as support for parental controls and multiple users. The Live TV technology should eventually come to the Plex Apple TV app. All Plex clients require a connection to a device running as a Plex Media Server, typically a Mac or Windows PC.